One sometimes finds it difficult to define the beer sort by reading the label. For historical reasons, in Russia is used a simplified classification dividing all beer variety into dark and light sorts. Besides, all color range shades of beer are used in brand names for example: platinum, amber, red, velvet and black. This color array also includes "white" color, which usually refers to a wheat beer sort. Such classification was inherited from the Soviet times - a consumer is so far accustomed to choosing his beer by colors, unless he is a beer lover and expert. At the same time, international names are gradually gaining independent significance. A particular part is played by special sorts. For example, beer containing smoked malt, juice, ginger, seaweeds giving the beer green color as well as classic ales. With increasing frequency, there appear wheat beer sorts containing orange citron and coriander. 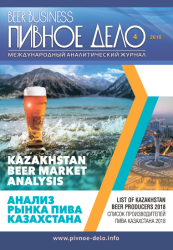 According to such classification, among 3 845 beer sorts by 658 producers 64% is taken by light beer sorts, 24% by dark and semi-dark ones, 6% by wheat and 6% by special beer. The popularity of zhivoe beer (live beer), which has passed its peak by today, played a big role in the product range of brewers. There appeared a host of unpasteurized and/or unfiltered beer sorts with a short shelf life and clouded beer. These sorts often form separate brands and are often sold on tap in specialized retail. We must also mention people's brand, light beer Zhigulevskoe, with 11% gravity and 4% AbV, which is brewed by state standards. 171 sorts of Zhigulevskoe are bottled by 141 breweries of various scales except for restaurant breweries. The database on the attached disk will make it easy for you to analyze the product range of Russian brewing companies by various aspects. 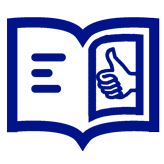 It also contains additional information which was not included into the printed catalogue. • Assortment of import beer. • Assortment of beverages made on the basis of beer. • The shelf life and the storage temperature of beer. 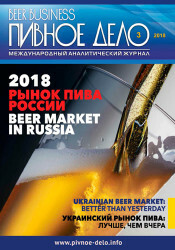 Beer and Soft Drink Plant Dmitrovskiy, Ltd.
Gus-Hrustalniy, Beer and Soft Drink Plant, Ltd.
Rudo-Akva, branch of Lakinskiy Pivzavod, Ltd.
Kolskaya Pivovarenaya Kompaniya Arktika, Ltd.
Pivovarennaya Kompaniya Nashe Pivo, Ltd.
Pivovarnya Malz end Hopfen , Ltd.
Pivovarnya Pomeshchika S.I. 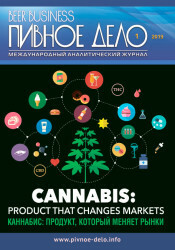 Troekurova, Ltd.
Krasnodarskiy Zavod Pishchevyh Produktov, Ltd.
Asbeer Adygeyskiy Beer and Soft Drink Plant, Ltd.
MPK Pivovarenniy zavod Maykopskiy, Ltd.
Rossiyskaya Pivovarennaya Kompaniya im. A.G. Arzimanova, Ltd.
Pervaya Yuzhnouralskaya pivovarennaya kompaniya, Ltd.
Novosibirskii zavod iskusstvennogo volokna, Ltd.
Novosibirskii pivo-bezalkogolnyi kombinat Gvinner, Ltd.
Lyubinskiy Zavod Piva i Konditerskih Izdeliy, Ltd.
Torgoviy Dom Tihonov i Synovya, Ltd.